Context: Women Taking Action is a group consisting of high-profile female philanthropists, who commit money and time to specific projects for Action for Children. 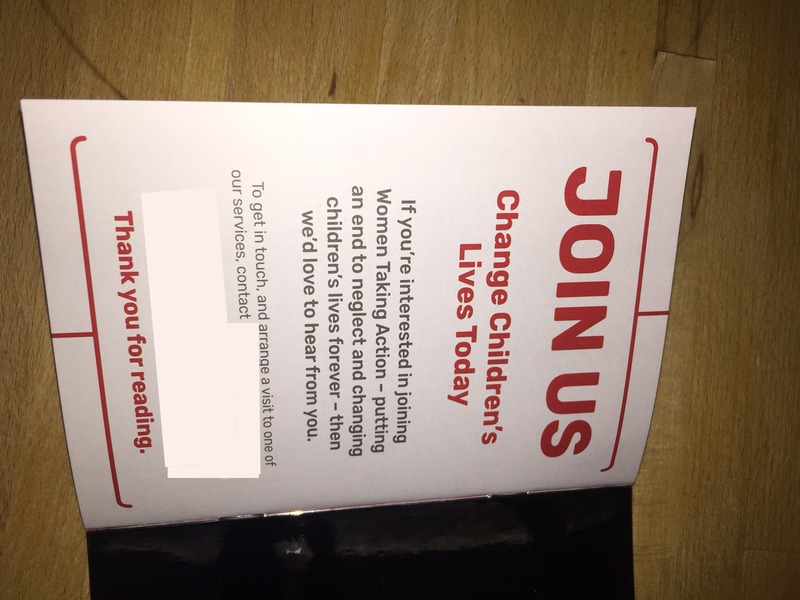 Each woman donates a minimum of £5,000 per year, for three years – cumulatively funding whole projects e.g a family support unit near Birmingham, helping 40 families where children are at risk of abuse and/or neglect. Those involved in Women Taking Action like the fact that they can see, in a tangible sense, exactly where their donations go / how they help. 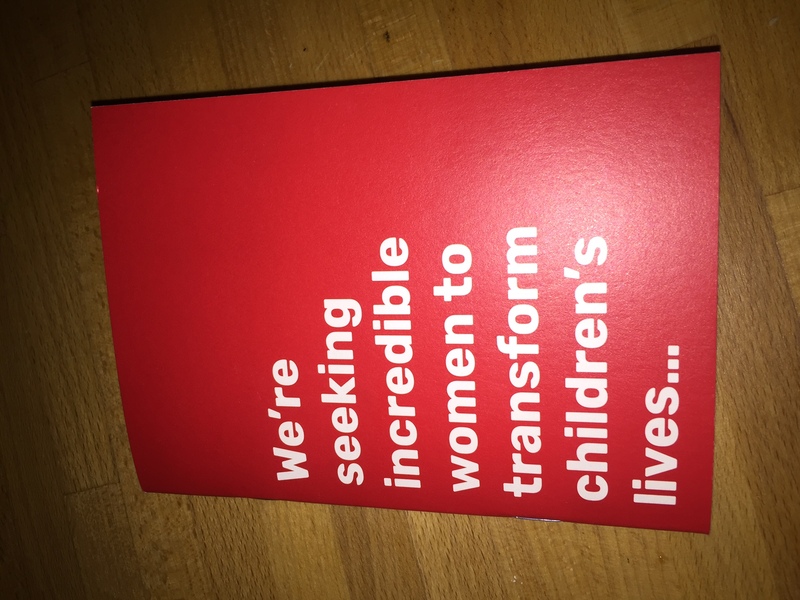 Brief: To attract new major donors / philanthropists to the Women Taking Action group, with material created for Action for Children’s Spring Ladies Lunch (an annual fundraising event, attracting 300+ women). 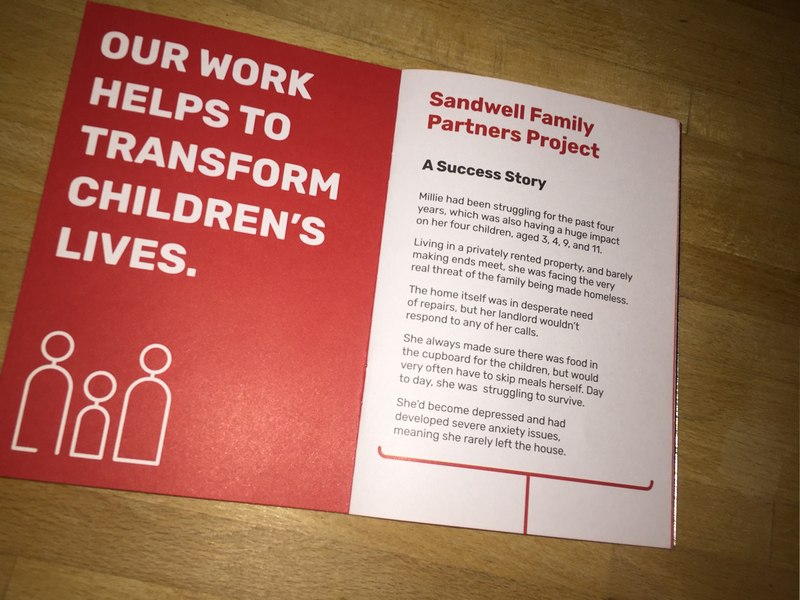 This material was also to be used at other events, so had to stick to core branding (red and white, Rubiks font, Action for Children logo lock-ups). The front cover had to have a strong, enticing message, and there had to be a visual device / ‘hook’ inside that was in keeping with the ambience of the event (classy, elegant). 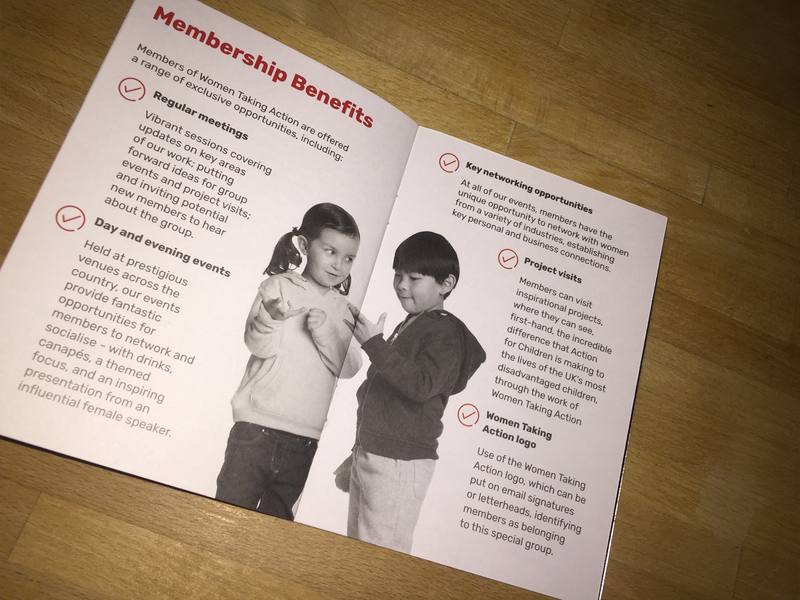 In short, it had to be ‘something useful to attendees – something they’d want to put in their handbags, then look at later’ – hence the mirror on the inside cover, linked to the messaging. 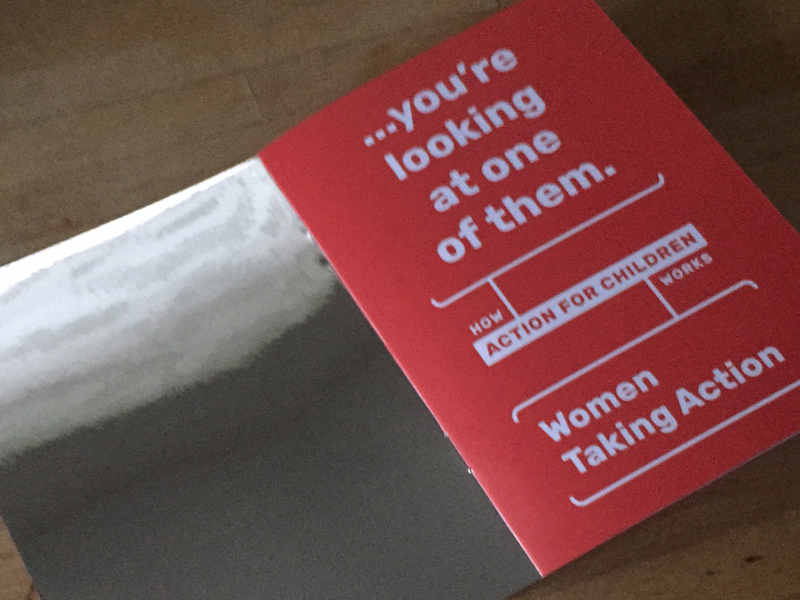 The remainder of the booklet had to explain who Women Taking Action are, what they do, recent successes/case studies, the commitment involved, the benefits of membership… then a strong CTA at the end – to pick up the phone/email, then visit an Action for Children service. With follow-ups / stewardship, the idea is that this piece will bring in c.£200,000 in donations.